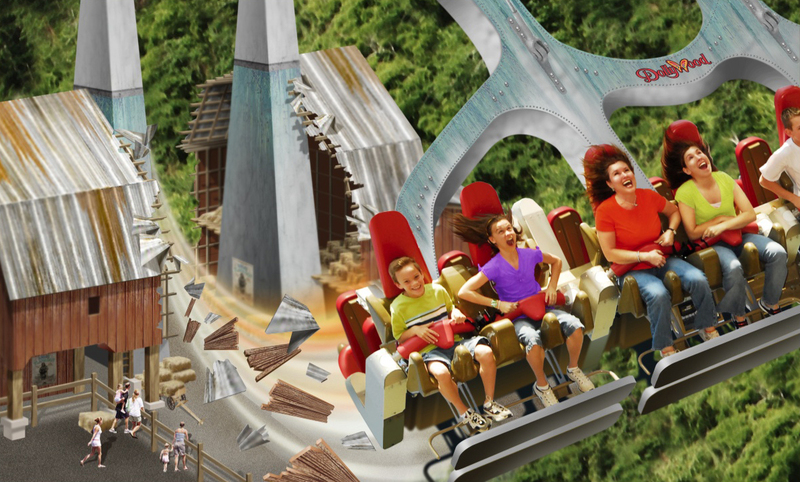 After building two “challenge” attractions, SkyZip and Adventure Mountain over the last two years, Dollywood will be getting back into the thrill ride game in 2011 with “Barnstormer” an S&S Screamin Swing that gives riders the sensation of 1920’s stunt pilots. The $5.5 million ride will send its 2, 32 passenger swing arms 81 feet in the air with a maximum speed of 45 mph. From the looks of the concept art the ride should have a base similar to “The Giant Swing” at Dollywood’s sister park, Silver Dollar City, with perhaps a more “destroyed” barn theme. Barnstormer will be the centerpiece of a new Barnyard themed area that will include a children’s play area featuring a bi-plane play area and a water play area themed to a pig pen. 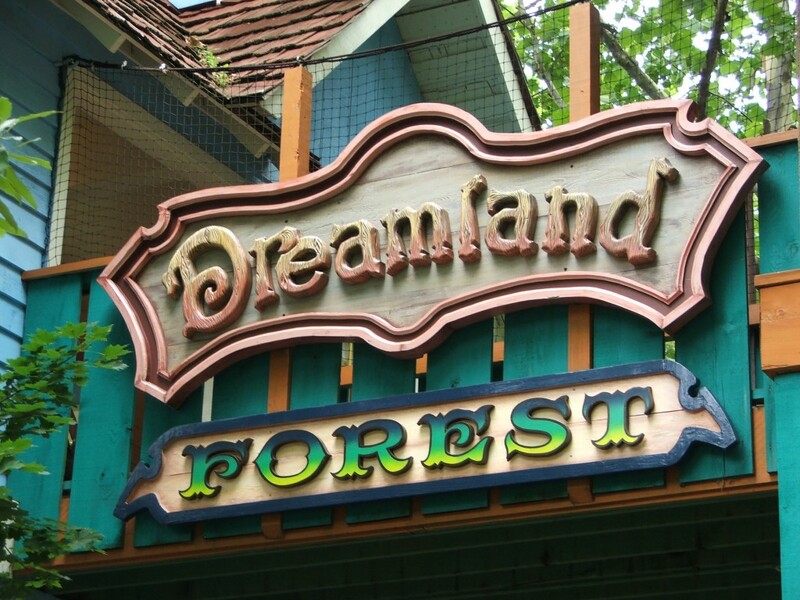 The new area will replace the Dreamland Forest treehouse near the Mountain Slidewinder. Barnstormer, along with the new area should be a nice fit in the park, even at the loss of a great attraction like Dreamland Forest, which was definitely a personal favorite of mine as a child. But , if done well, which is obviously expected from Dollywood, the new area could be a great upgrade from the already 10 year old Dreamland Forest. What are your thoughts? Think Barnstormer fits at Dollywood? Leave your comments and Park Thoughts! I personally think, The Timber Tower should have been taken down before now, and replaced with the Barnstormer. It had a good place for kids and adults to play, and a place for people to relax.